Here are some tips to help make your next apartment mystery shop go smoothly. Get comfortable with your scenario. You may be given a specific scenario by the mystery shopping company, or you may have some latitude to create a story of your own. The scenario you present will include things like the size of apartment you’re looking for, the date you plan to move in, the number of persons who will live in the apartment, whether or not you have pets, a price range, any special needs or qualifications you have, and how you heard about the apartment complex. Prior to visiting the apartment complex, makes sure that they advertise in the place you plan to mention. When you visit, you will have to present a valid form of identification such as a driver’s license. This means you must give your real name, address and telephone number. You may also be asked the name of your employer. If you are currently employed, you may give the name of your actual employer. If not, make up an employer or mention some place you formerly worked. Don’t tell them that you are a mystery shopper. Prior to your visit you will have to contact the agent by phone and make an appointment. This is an important part of the shop. Because you’re calling for a particular agent, it may take several phone calls before you reach the correct agent. It is a good idea to press *67 on your telephone to block caller identification so the apartment complex doesn’t know that you called multiple times. Plan to spend at least 30 minutes touring the apartment community. If the car you drive does not fit the demographic profile of the apartment community, you should park out of sight of the leasing office. Don’t take any of your shopping paperwork in with you, and don’t take notes during the mystery shop. Many shoppers find it useful to carry a digital recorder to record the shop and their observations. During the shop, you may be asked to present an objection. The purpose of this is to test the rental agent’s sales skills. Therefore, your objection should not be one that stops the conversation, but one that gives an opening to the rental agent to sell you on the apartment. An example of a poor objection would be that you want to look at several other places. That’s fine at the end of the presentation when you want to get out without signing a lease; however, there is no good way for the rental agent to overcome this objection. Examples of good objections would include: “There doesn’t seem to be enough closet space,” “I don’t think my sofa will fit in the living room,” or “I don’t care for the color of the walls.” The rental agent should attempt to overcome your objection to show you how the apartment can work for you. If the agent does not attempt to overcome your objection, make light of it yourself and move on. Don’t let this objection to be a stopping point for the conversation or prevent the agent from closing you as a result of it. 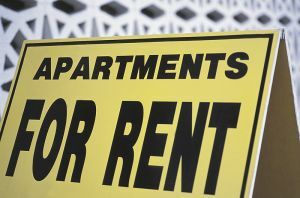 Apartment shops also address issues such as fair housing and safety. You need to be subtle about these questions. For example you might ask whether there are other families with children in the complex, or if there are problems with burglaries or vandalism in the area. Once you have visited the apartment, the leasing agent should try to close you and get you to sign a lease. They may do this by asking questions such as, “Are you ready to fill out an application?” or “Would you like me to hold the apartment for you?” They may also say things to create a sense of urgency such as, “This is the last apartment I have available right now.” This is when you use your objection that you are looking at several communities and you’re not ready to make a decision at this time. Do not identify yourself as the mystery shopper or tell them that you are not really looking for apartment. Many companies will also ask you to report any follow-up contacts made by the rental agent. If you receive a telephone call, e-mail or thank you note, you should report it to the mystery shopping company. Great description of what apartment mystery shopping is all about.